Dancer/performer, Tezuka and performer/composer, Adachi are working together more than 10 years intermittently. They both are interested in working between sound and movement. Sometimes, using some methods of games and audience participation, they put their performance in a microscopic presence of the ambiguous　border between body and voice. Dancer / Choreographer, Natsuko Tezuka was born in Yokohama Japan. She started her career as a solo dancer in 1996, changing her style from pantomime to dance, and she has worked with themes of trial and error to explore her own style that does not employ conventional techniques. She produced her Anatomical Experiment series with the theme of body observation in 2001. In 2007, she made the piece to she videotaped a chat with her family and traced their movement of the body. She performed this piece, name is “Private trace”, at the theater Berlin Mitte. In 2010, she started a new project entitled Asia Interactive Research, which is a trial to observe folk performing arts in Asia to think about what was Western modernization. Because that was experience about change of system to be watched from the higher place. Tomomi Adachi is a performer/composer, sound and visual poet, instrument builder, visual artist and also committed to dance/choreography. Known for his versatile style, he has performed his own voice and electronics pieces, sound poetry, improvised music and contemporary music, also presented site-specific compositions, compositions for classical ensembles, choir pieces for untrained musicians in all over the world including Tate Modern, Maerzmusik, Hamburger Bahnhof, Centre Pompidou, Poesiefestival Berlin and Walker Art Center. In the field of dance theater, he collaborated with dancers and choreographers including Kareth Schaffer, Kim Itoh, Un Yamada and Monica Klingler not only as a musician/composer but also a physical performer. He worked as a dance performer with Jerome Bell for his Japanese production of “The show must go on” in 2011, also made music theatre work with a dance performance group, contact Gonzo and a group of children for Kyoto Experiment in 2016. 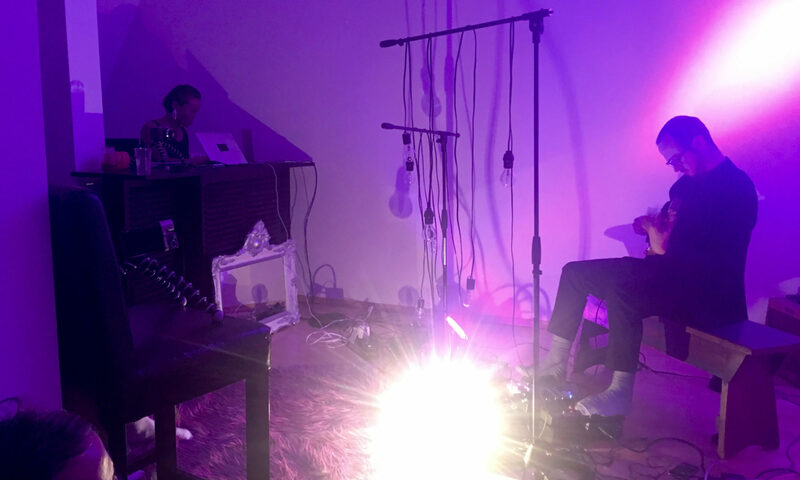 He has been working with a wide range of materials; self-made physical interfaces and instruments, brainwave, artificial satellite, twitter texts and even paranormal phenomenas.CDs include the solo album from Tzadik, Fontec, Omegapoint and naya records. He was a guest of the Artists-in-Berlin Program of the DAAD for 2012.